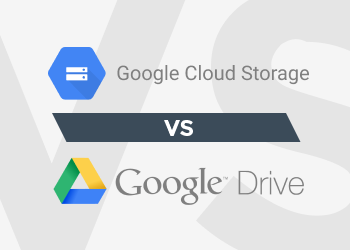 We are going to consider two popular cloud storage solutions that can host your backups: Google Drive and Google Cloud Storage. Are they the same? No, of course not: there are obvious differences in the operating principles and opportunities. To understand the point, let’s briefly review their features. It is a popular cloud storage service by Google distinguished by the deep integration of Google apps. Similar to Amazon Drive or Microsoft OneDrive, it offers free and fee-based storage plans - you start with 15 GB of cloud space for free, but then you can upgrade your storage space up to 100 GB for $1.99/month, 1 TB for $9.99/month or 10 TB for $99.99/month. You may find actual price info on the Google Drive pricing page. No tier-based data storage (cheap and slow for long-term data storage, more expensive and fast for “hot” data). Using Google Drive you can choose just a standard storage plan offering no extra flexibility. It is not a business solution. Google preserves Google Cloud Storage but not Google Drive as an enterprise platform, so you will not get a solid business application with Google Drive data storage. It doesn’t support advanced data management features. No buckets that preserve all your project data, no management of object metadata, no setting of object and bucket ACLs. Weak load-bearing capacity. You can know it from the following error message - "Please, reduce your request rate". It means that excessive load is on the Google server. Remember, it is a personal data storage service. 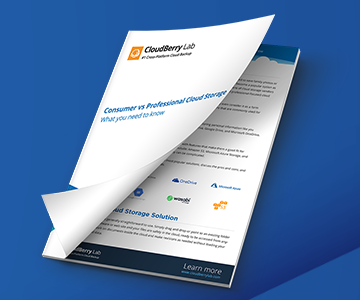 It results in increased backup duration, data privacy weakness or additional administrators’ effort - they have to, at least, encrypt data before sending to an external cloud. In 2019 Google has started to roll out it's new storage platform - Google One. It's supposed to include and expand Google Drive's capabilities. Google Drive, on the other hand, won't be forgotten - the name of the storage interface will remain the same. If you are a paid customer of Google Drive - you will be automatically upgraded to Google One. It won't affect the storage or the usability of the service. You will have more features and extended support. Google One was first rolled out in the US. Below is the US pricing for Google One. Improved security due to the use of OAuth. Advanced storage tiers. You can save money for “cold” data (rarely used) or pay extra for regular data snapshots. 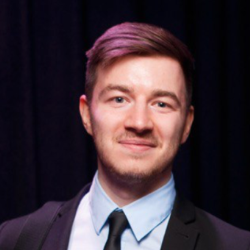 REST API support for advanced service and business apps integration. Opportunity to resume data transfer after a failure. This feature is especially useful when performing very large uploads (like backups) when the risk of some kind of data interruption is obviously high. It also supports streaming transfers, automated objects versioning and geographical specification of bucket data center locations. Google Cloud Storage Standard is appropriate for users who need instant access to huge data volumes. The price for the standard service is $0.026/GB and it’s due to an increased speed of response to inquiries. 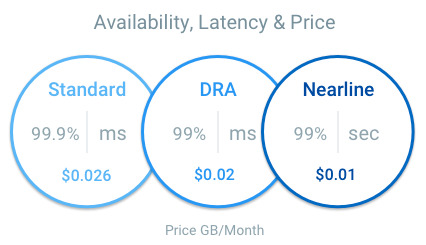 Google Cloud Storage Nearline is the cool tier storage. That means, it's cheaper than the Standard tier, but the response time is much longer. Perfect for users whose objective is to store large data volumes that will not be used frequently. The price for the storage is $0.01/ GB. Google Cloud Storage Coldline is the latest, cold tier storage. With its price of $0.007/ GB, it's dirt cheap. This, however, comes with a price - it's more expensive to restore files, located in Coldline. Keep in mind, that in Google Coldline there is also an early deletion fee - you'll pay more for recovering data earlier than 90 days after the upload. (Learn more about the true cost of cold storage.) Perfect archive storage. At first glance, it seems that Google Drive is much cheaper than Google Cloud Storage. However, this statement is true only if you use the entire space. If a user pays for 1TB but uses only 30% of that space, then the rest amount that was paid is financially “lost”. The situation is different with Google Cloud Storage. Here, the price depends on the space used up to each gigabyte. Google Drive is a good solution for personal use, it works perfectly for storing, editing and reproducing text and media files. Small and medium businesses should focus on the more extensive, functional and secure Google Cloud Storage service.